The origin of the XSS term comes from the pre-SOP (Same Origin Policy) age, when the attacks were really against a domain from a domain, hence the use of “cross-site” to describe it. Nowadays it’s more likely to consider XSS as a client-side markup/script injection because these attacks don’t really need to rely on another domain anymore. There are few exceptions, the ones we will see now. It’s worth to note that the security header X-Frame-Options may render this attack based on iframe unfeasible but that will not stop one using another browser tab or window. It checks for “facebook.com” in the origin of the data sent. 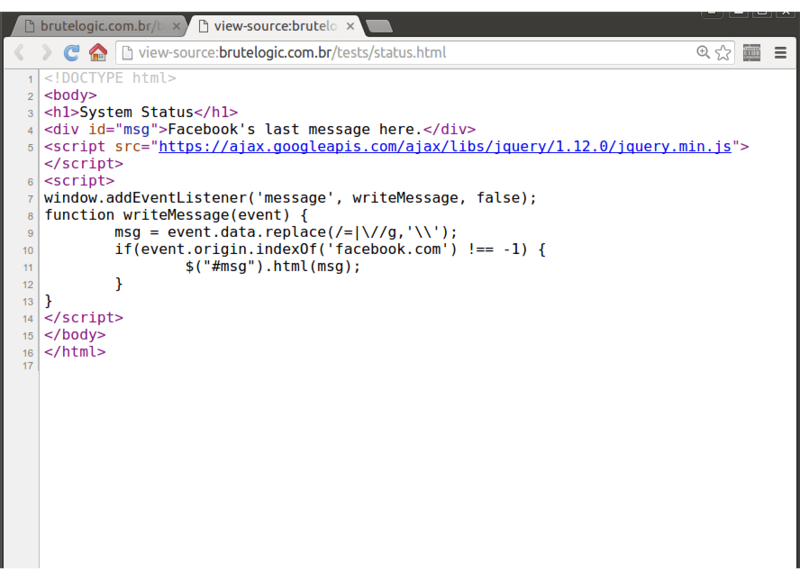 It can be easily bypassed using that string in the domain of the sender, like mysite-facebook.com. But instead of registering and configuring a domain in the world wide web, we can edit the hosts file of our operating system (C:\windows\system32\drivers\etc\hosts in Windows or /etc/hosts in Unix-like systems) to make the browser goes to our desired fake domain. 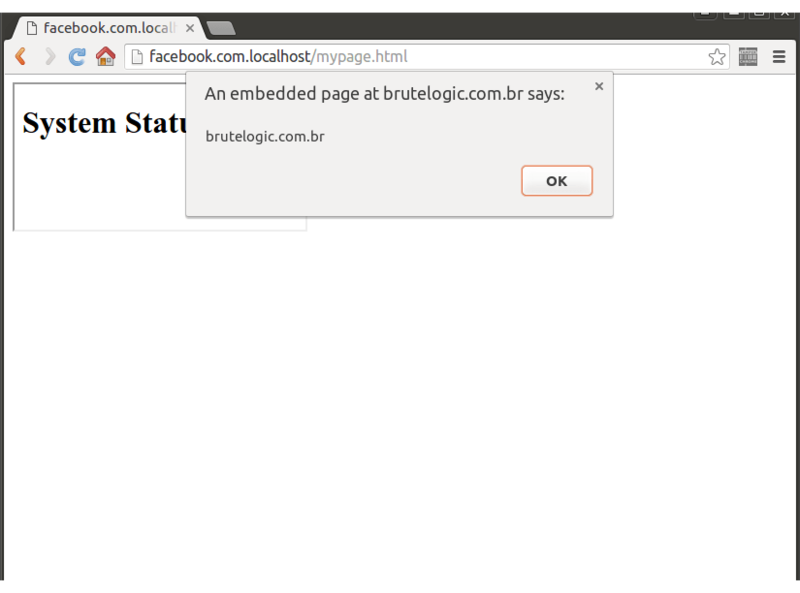 Even better, we can use Google Chrome ability to “create” a fake subdomain of localhost on the fly as we will see below, in a machine running a web server. This make use of the “name” attribute of the iframe to store the string to be executed by the eval() function which makes that code invisible to the target’s web server logs. P.S. : here’s a live example of this technique. I don’t even know how I ende uup here, but I thought this post was great.